AWS and the Volkswagen Group are joining forces to transform automotive manufacturing with the announcement of a new multi-year, global agreement to build the Volkswagen Industrial Cloud. The German automaker will rely on the cloud giant's portfolio of services including IoT, machine learning, analytics and compute services to increase plant efficiency and uptime, improve production feasibility and increase vehicle quality. The Volkswagen Industrial Cloud will gather real-time data from all of its 122 manufacturing plants to manage the overall effectiveness of assembly equipment as well as track parts and vehicles. 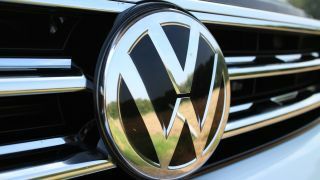 Volkswagen will leverage AWS' suite of IoT services, including AWS IoT Greengrass, AWS IoT Core, AWS IoT Analytics and AWS IoT SiteWise, to detect, collect, organize and run sophisticated analytics on data fright from the plant floor. A company-wide data lake built on Amazon S3 will allow Volkswagen to analyze the data from its plants to glean insights that will pinpoint operational trends to help improve forecasting and streamline operations by identifying gaps in production and waste. The automaker will also use Amazon SageMaker to optimize the operation of machinery and equipment in all of its plants by building, training and deploying advanced machine learning models. Volkswagen will also use AWS Outposts to bring native AWS services, infrastructure and operating models on-premise to provide seamless functionality between the factory floor and the cloud for latency sensitive operations.